The meeting opened with Tauriq as OCA chair introducing the facilitator for the evening, Natalie McKaskill from the Lotus River-Grassy Park Civic. It was clarified this was a Town Hall meeting, open to all comers, rather than an OCA members meeting. Two journalists were present. There was discussion whether the presence of the journalists would inhibit discussion. Allegations were made in the meeting that one of the journalists has already illustrated his bias in the issue. Another speaker expressed the view that there should be no restrictions on press freedom and that if what was written was untruthful or biased, it could be challenged publicly. In the end, it was said that the journalists would be able to stay but not record what people said or quote them without getting their permission. The meeting also decide not to support Edwin’s request to film the events. The OCA deputy chair outlined a brief history of the Circus which has been operating as Circus School for some years in Observatory. At some point, the Circus ceased to be a Circus School and become unauthorised accommodation for people staying there since the property is not zoned for habitation. Conditions under which people stayed were less than optimal and the tenants had little say over the conditions. The existing lease ended in April 2018 and resident were not told about this at the time. A breach of lease notice was served on the circus on 20t h April by the City. City officials met with the Circus on 25t h April and 31s t May 2018. On 11t h June, City served notice on Circus instructing them to vacate by 13t h August failing which they would be served with an eviction order with costs. 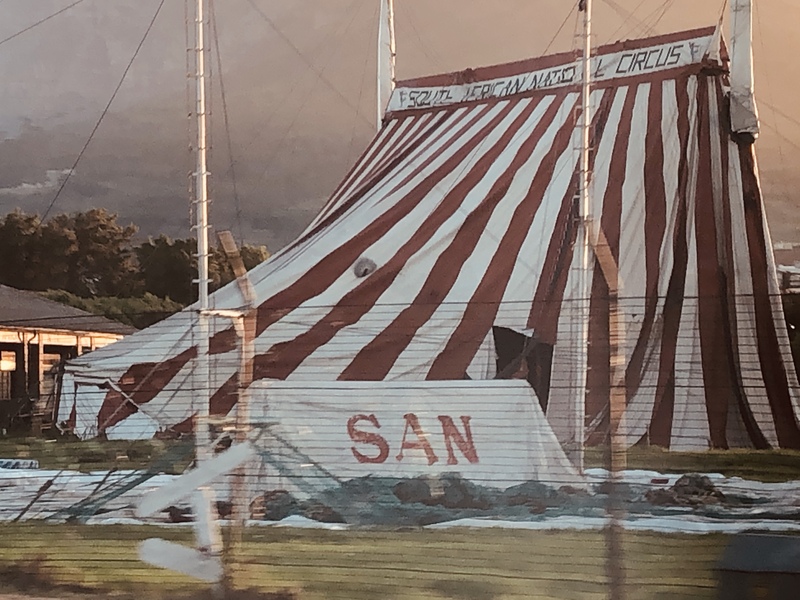 In July 2018, the City was told about the circumstances under which residents at the circus were being exploited, including allegations of intimidation, assault, kidnapping and extortion against the occupants. On 16t h July 2018, a notice declaring it a fire hazard was served on the circus. A third notice to vacate was dated 15th January 2019. 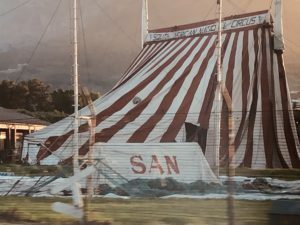 All 3 notices were based on the fact that CoCT had terminated its lease with the Circus and thus considered the occupants to be unlawfully occupying the property. The third notice of 15 jan 2019 stated “should you fail to vacate the property by 22 February 2019” …”an application for an order of eviction will be brought against you.” The city has now instituted a formal eviction through the courts and that is the situation. The OCA Communications Coordinator outlined the communication (see report below) with the City over the past few months. In summary, efforts by the OCA to establish the facts surrounding the circus from the city have been rebuffed. In particular, the response from our Ward Councillor has been to hide behind the claim that the eviction is subject to legal proceedings currently. It was pointed out that notwithstanding the evictions, most of the questions asked of the Councillor and the City were not relevant to the outcome of the court proceedings but were rather of a general nature related to the plans for the precinct. Despite this, the ward councillor declined to provide answers to the Community. ● A circus resident noted how they had struggled to make progress in addressing the matter. They hoped that the Obs community would value the circus. One of the circus residents confirmed that the Artists’ Collective was an idea which the residents had developed with no prompting from the OCA Chair. ● A concern was expressed that there was a lot of movement of persons in and out of the circus and many were foreign nationals. One resident who convenes the local committee disputed that there was much turnover. There was also some disquiet expressed from circus residents that this approach was perjorative to non-nationals. ● A number of speakers recognised that the fundamental problem underlying the crisis at the circus is the lack of housing in Cape Town. In that light, different views were expressed about whether the circus residents could expect accommodation at the circus. Some viewed attempts to stay at the circus property as an ‘entitlement,’ preferencing some people over others in desperate need of housing, while others felt it was unfair to put the circus residents into this dilemma since they were victims of abusive arrangements and were living in marginality, and that we should be empathetic. We have to live with both these perceptions. ● Scaffolding is gradually being removed from the tent which is in danger of collapsing, particularly with strong winds. It is an urgent safety threat to the residents on the erf and to neighbours, not to mention passing vehicular and pedestrian traffic. This point was made on a number of occasions, emphasising the importance for residents of lower Observatory. It was unclear if it was the previous landlord involved in dismantling the poles or if it was being stolen by other parties to sell for scrap metal. One circus resident commented that Dimitri had been told by the City to stop removing the poles and this was corroborated by the OCA chair who understood that the City had put a moratorium on removal of any structures because of safety issues and the need for a proper engineering assessment. ● When asked what was the OCA’s position on the Circus, it was clarified that the OCA’s only position was that it needed to get more information so as to inform how best to respond. It has not taken a position for or against any eviction. This is recorded in minutes as far back at June 2018 and repeated in subsequent months. One speaker claimed the only reason the OCA was actively pursuing information now was because of the pressure from lower Observatory residents. ● The resident’s tenure at the Circus was based on a verbal agreement with the landlord. There were no written rental agreements. Since the City terminated the lease agreement with the landlord, the residents have not been paying rent. ● One speaker argued that it would be more effective to work with JP Smith than to rely on the ward councillor. It was pointed out that the system is such that we are meant to work with our Ward Councillor. Nonetheless, we should entertain all possibilities. ● The OCA chair was asked if he was acting within the mandate of the OCA onthe matter of the circus. His response was that he saw no contradiction between the OCA’s position and his investigation and defence of the human rights of the circus residents. He urged Obs residents to recognise the human rights of the circus residents in their response to the matter. A response to this was that while the human rights protections of residents was clearly important, it should not extinguish the valid concerns of Lower Obs residents who feel unrepresented in the OCA. o An appeal was made that we need to work together as this has wider ramifications for the Two Rivers Urban Park precinct. o Waiting for the City to solve the problem will not be helpful because the City will not make it a priority so we should be working out solutions ourselves. ● A suggestion was made that a Lower Obs group be set up to work with the OCA and be represented on the OCA to address the crisis. o Approach JP Smith to get urgency from the City on all matters affecting the Circus. o Suggested to approach a local Obs resident with experience in building cleaning/climbing but a concern was expressed to avoid taking action without a professional opinion otherwise we would be liable if anything goes wrong. The meeting closed with a clear understanding that even if there remain different perceptions about some matters, there is an urgency to address the issue – particularly the safety hazard posed by the tent. Natalie was thanked for her chairing of the meeting.